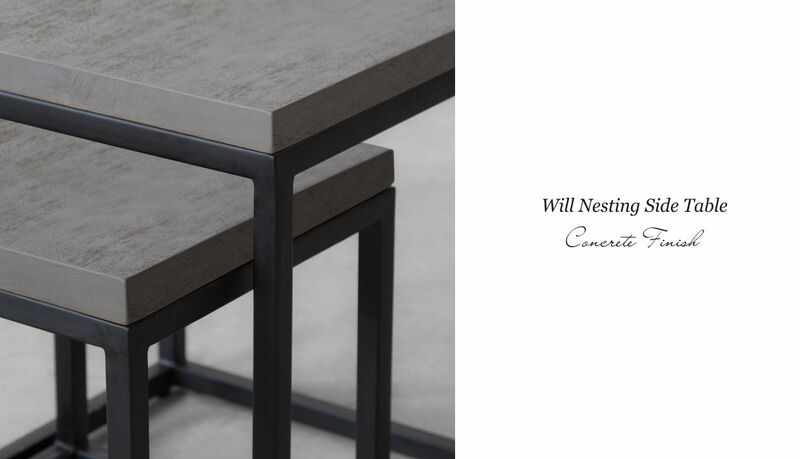 Bring the rusticity and structure of concrete to your living space! 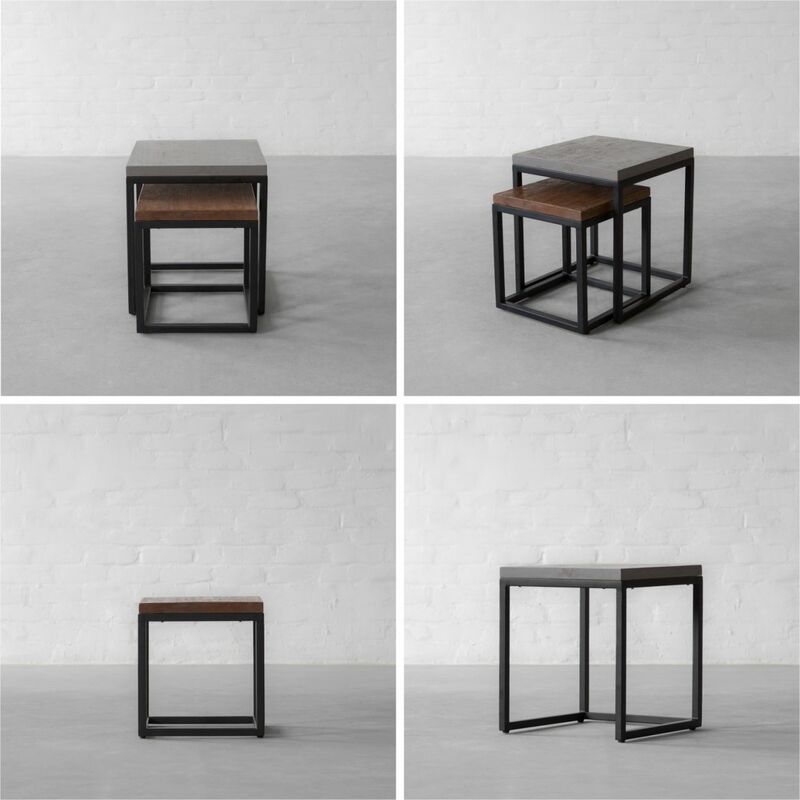 We created a contemporary fusion of wooden top in concrete finish look and specially treated black metal base. 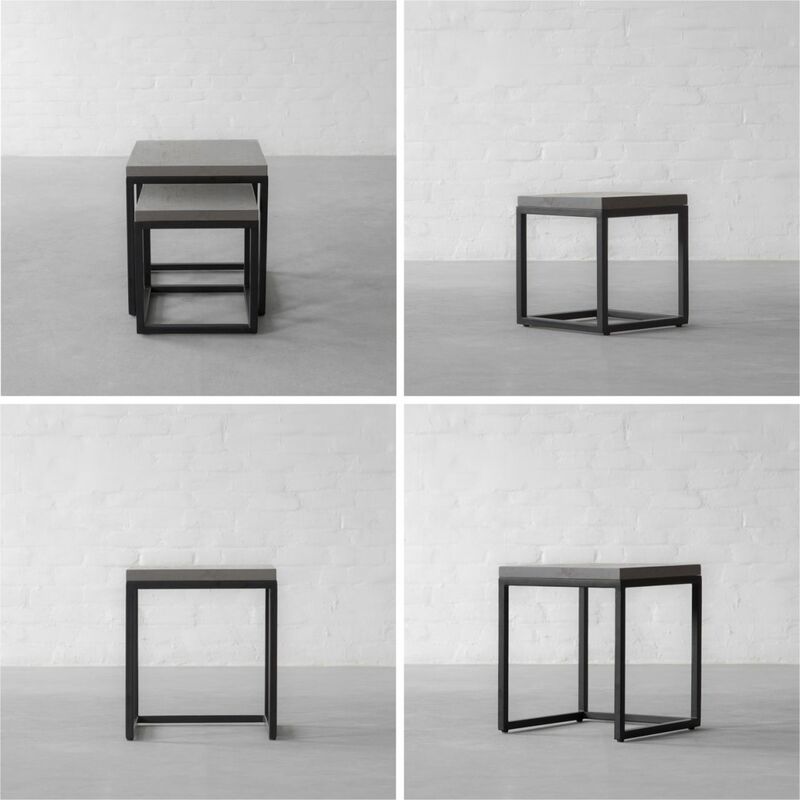 The table rests atop an open rectangle of black metal frame giving it an industrial look. 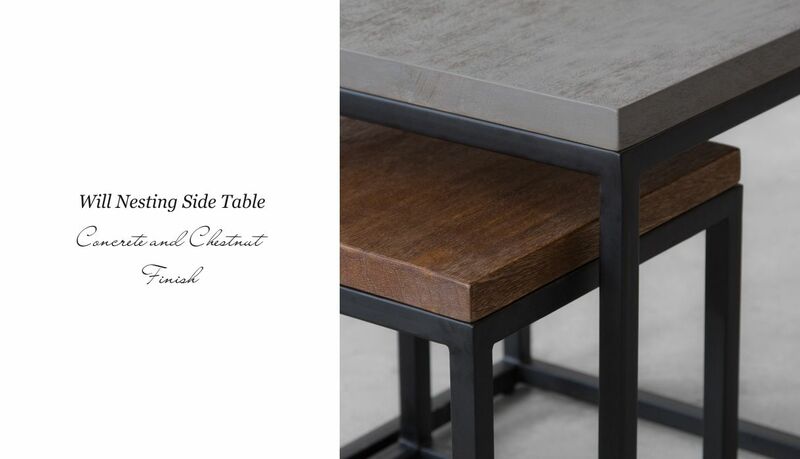 Use it individually or as nesting table depending upon your need.